Remote work is always comes with challenges, and when Julianne Gauron joined African Spokes to photograph CEO of Coalition Snow Jen Gurecki remote work while corunning the cycling expedition # African Spokes with Savage Wilderness the women had more challenges than the average entrepreneur, but as every business woman knows, worthwhile endeavors are rarely easy. 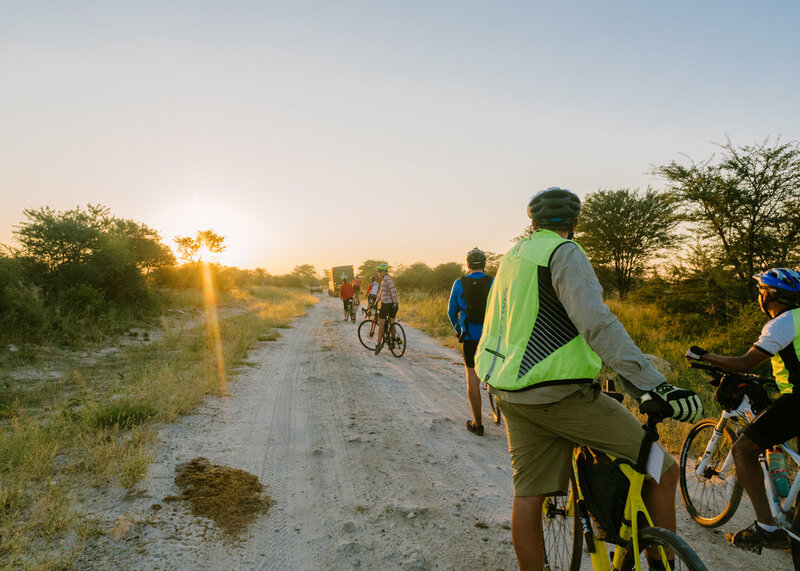 Road conditions, dehydration, and the wildlife are challenging when cycling in Africa, but the heat and lack of shade are the toughest. And restarting the ride after lunch was always a bit of a sufferfest. 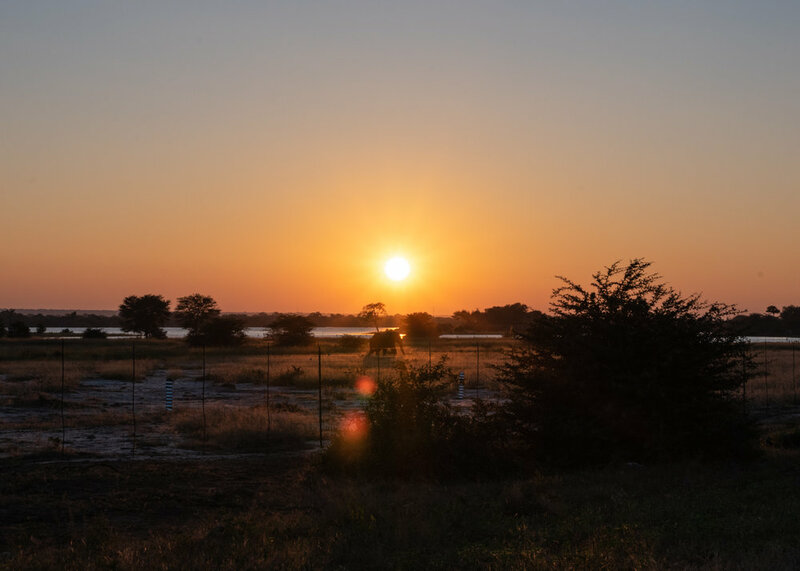 Days on the bike are bookended by setting up and breaking down your tent, with the break down in the pre dawn darkness, so riding on the bike can start in the cool period of the first glow of the African sunrise. 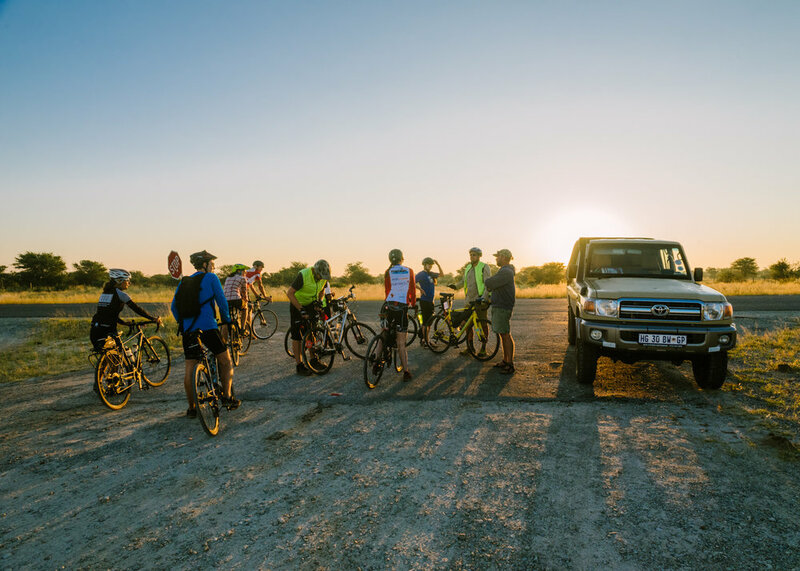 When we knew elephants were around, such as our early morning departure from Elephants Sands campground near Nata, Botswana the cyclists rode together in a convoy. The fresh elephant poo is a sure tip off that they were nearby, and we had seen many the night before in camp. Monkeys are an amusement and a nuisance in southern Africa. This vervet monkey and his troop ransacked my stash of sunscreen and chamois cream, convinced it was edible. I was taking joyful photos of my bicycle when finally arrived after a long delay with British Air, when a sneaky monkey walked casually onto the scene, preparing for the theft. 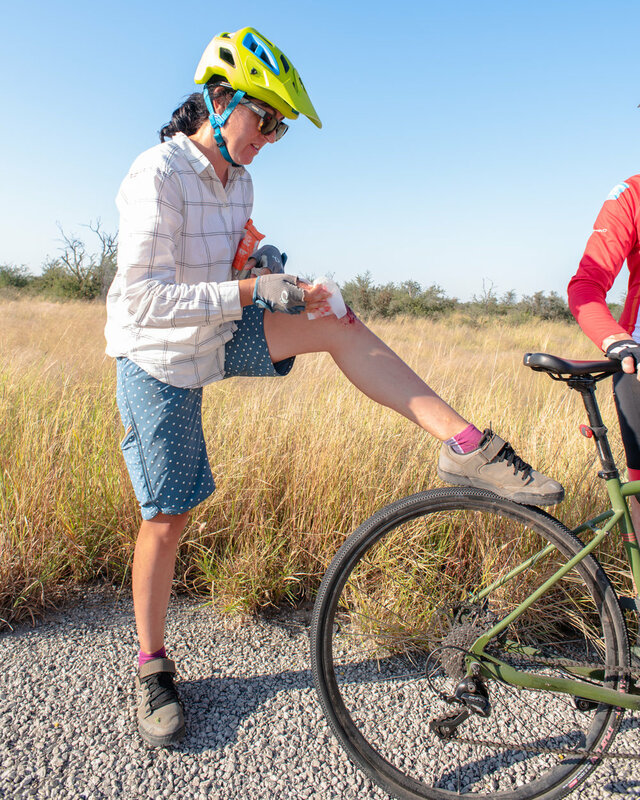 Punctures are just a part of daily life in cycling, and in especially in Africa, where the road is littered with debris, bits of garbage and acacia thorns the length of your finger. Regular tire repair became a respite for the road weary ear end. Occasionally we were the hazard, Jen and Roz had a collision one day, just a minor bobble too close to one another and they ended up skidding across the grater like pavement in a tangle of limbs. Both were game for photos and then carried riding but Jen’s knee blew up and she was eventually pulled by the support team after 50k for fear of damage. But she came back very quickly and knew it was a part of the risks. Poor Roz rode close to 200km that day with “crushing guilt” on top of her injuries and the usual challenges. 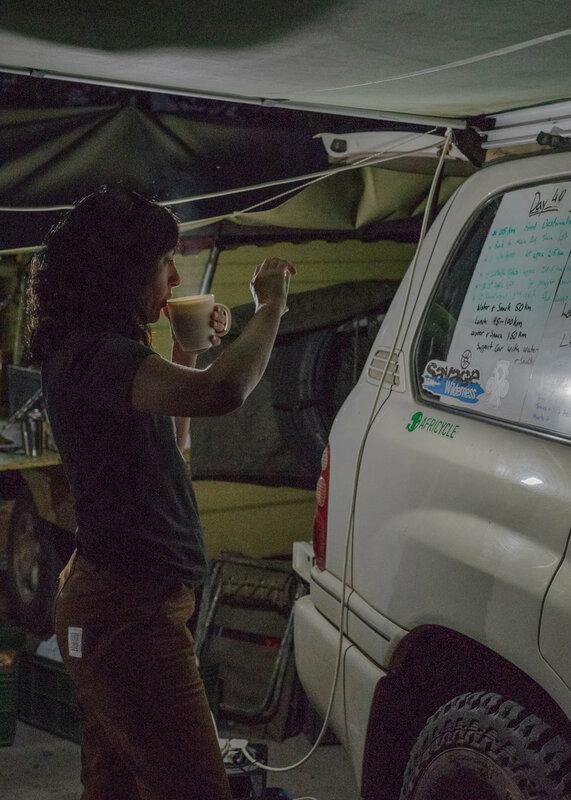 Days on the road start early, with pre dawn breakfasts prepared by the awesome Savage Wilderness team, and the all important photograph of the route which you would then follow. Most days of Leg 4 we rode around 150-200km but only had 3-4 turns the whole day so wayfinding was manageable even if the distance was challenging. Remote work always comes with challenges. 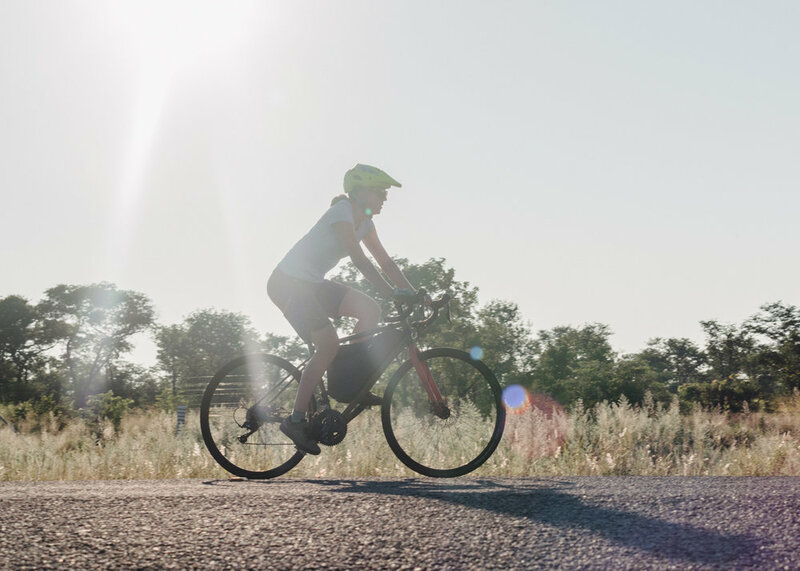 @coalitionsnow’s Jen Gurecki (@yogurecki) had more challenges than the average entrepreneur during her time with #AfricanSpokes, a 70-day, 6,520 KM cycling trip through Africa. 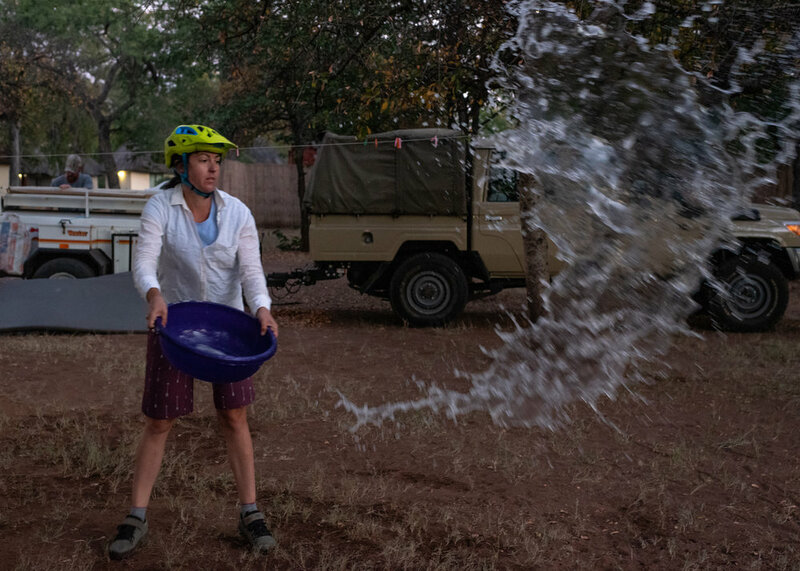 Road conditions, dehydration, the heat and the wildlife are challenging when cycling in Africa, but not being on the same continent as your team with limited internet connection brought into perspective on how truly connected she was to her team. African Spokes "All in a Days Work"
“Remote work is not a vacation. It takes significant self-discipline and a willingness to say no to all of the incredibly tantalizing distractions around you. Don’t let Instagram fool you — it’s harder than it looks and you work more than you would like. Access to a network is a must — you can’t be remote while working remotely. You might be able to get away with this for a few days or a week, but consistently not being connected will impact your ability to deliver. 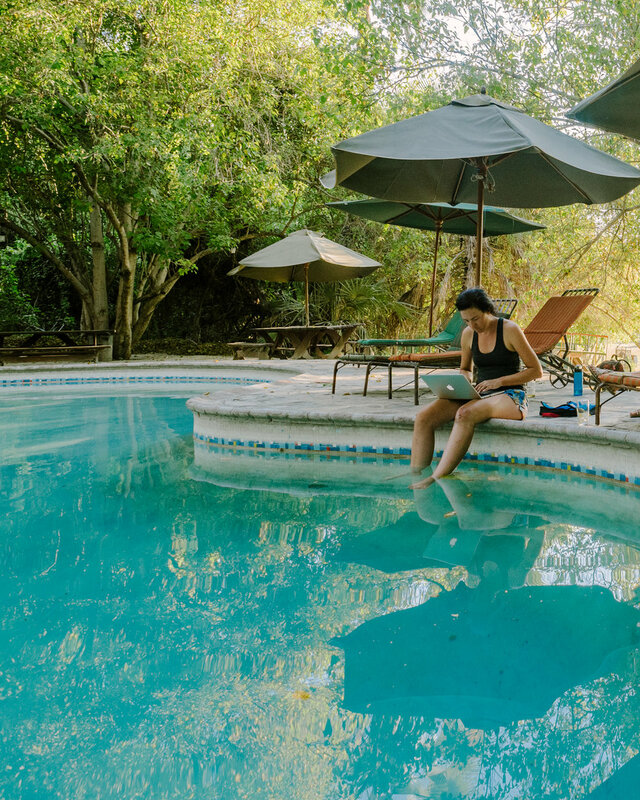 This photo series shows Jen Gurecki (@yogurecki)’s efforts to create an ever evolving work space as she traveled on #AfricanSpokes, a 70-day, 6,520 KM cycling trip through Africa while simultaneously running her business @coalitionsnow. Remote work is all about doing whatever it takes to get your work done in unconventional situations. Jen Gurecki grabs breakfast in the cold autumn pre dawn in Botswana. Much of the morning prep on the 68 day African Spokes expedition around camp occurs in the pre dawn darkness, so that cyclists can set out at first light, covering as much ground as possible before the heat of the day sets in. 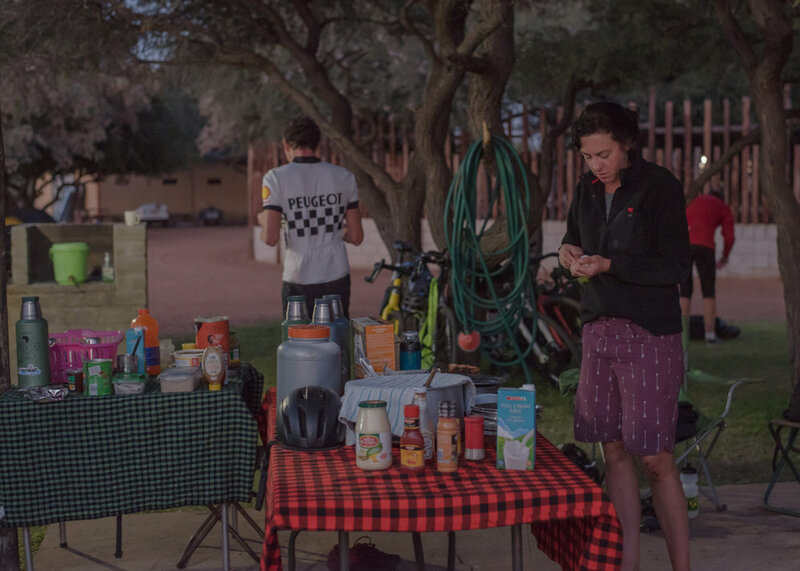 The Savage Wilderness crew leave camp soon after cyclists so those who have completed prep before first light help clean up the kitchen, pack up the trucks and put away all that they used overnight in camp. Each night the cyclists and support crew stay in a new location, riding from 40km to 214 depending on the difficulty of road conditions. Only moments out of camp on the second day of Leg 4, we stopped for a warthog and then crossing under the rising sun, saw our first elephant of the journey. A lone bull, he just carried on and we all stood on our bikes watching amazed to experience something we had all envisioned for so many months. 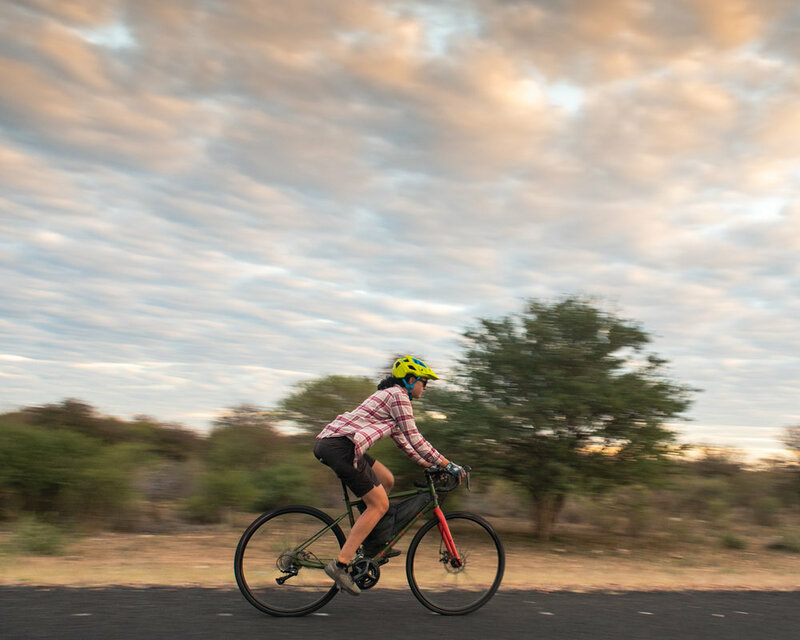 Cyclists interacted with livestock, seeing more donkeys, Brahman cattle, and horses as we progressed west towards Namibia. The herds wandered completely free through the bush, sometime with bells. African Spokes crossed much of Botswana’s best safari regions and elephants were seen on the regular, sometimes in the dozens. The country is a known safehold to the animals for their protective laws. And seeing them never got old to us. Cloud cover provided rare shade as Jen blows out of camp. Days like this were amazing, bringing temperatures down to low eighties. Even so she wore long sleeved cotton shirts for added sun protection. African Spokes traversed highly populated areas, but leg 4 was extremely rural. 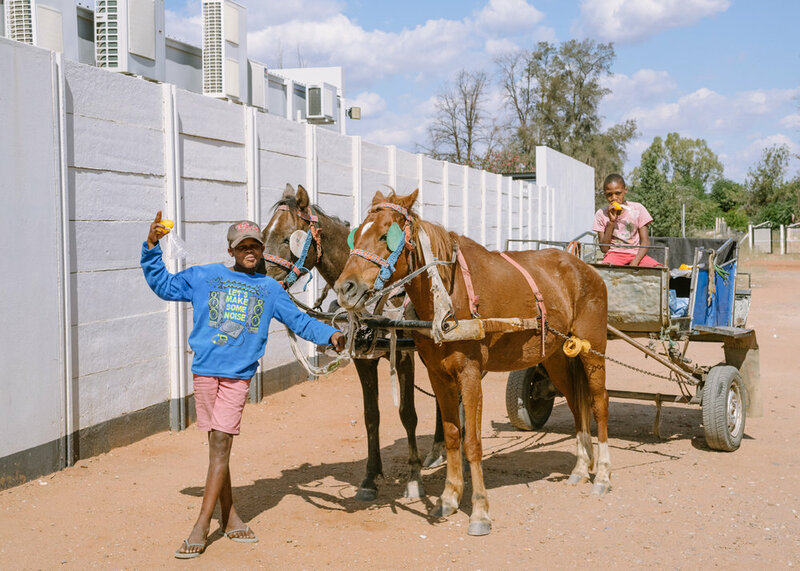 When we got to the frontier town of Gobabis, Namibia, after crossing the Kalahari in western Botswana for days we were all thrilled to see Namibian’s living their lives. Wild camp somewhere near the Namibian border under an ancient Baobab Tree was one of the most spectacular nights of Leg 4. 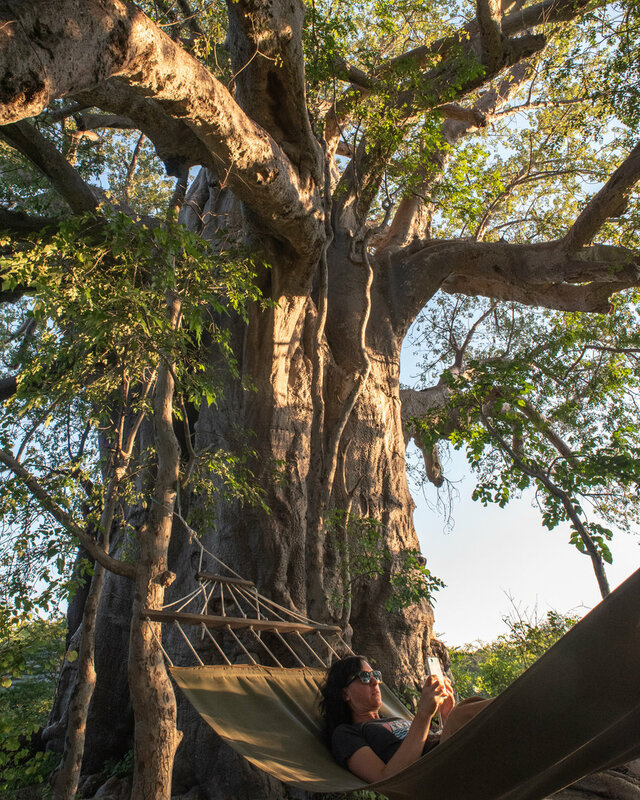 We set up the kitchen on one side and the lounge on the other reveling in the shade, it was the only tree we had seen for hours. 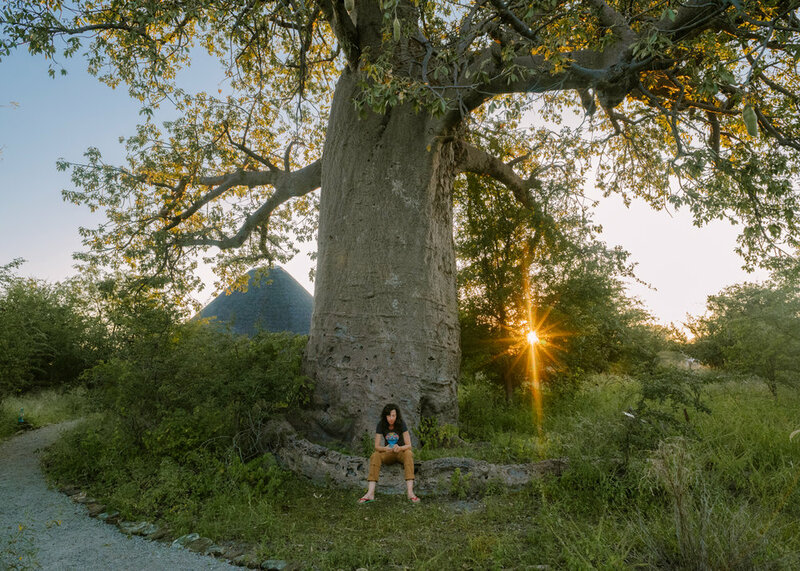 Baobab are both protected and worshipped in many parts of Southern Africa, and we were visited by a church group who sang and danced under the tree that night. Jen receives a guest in camp, we passed the carnivorous praying mantis around, although harmless to us the insect did start many interesting discussions on gender roles and wildlife. 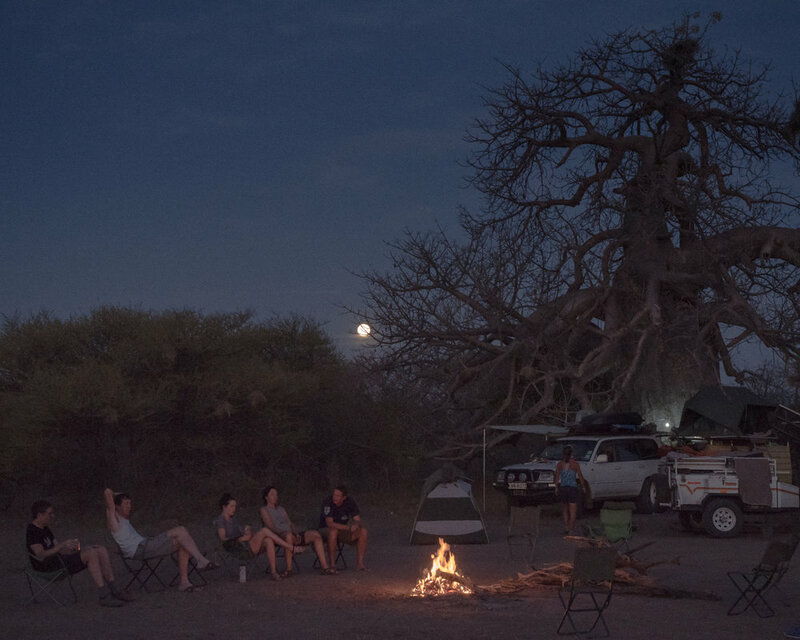 The full moon rose above wild camp at the Baobab tree, Jen enjoyed well-earned beer at the fire with James Savage, co coordinator of the trip, and other riders, before heading to bed for the 5am wake up call. 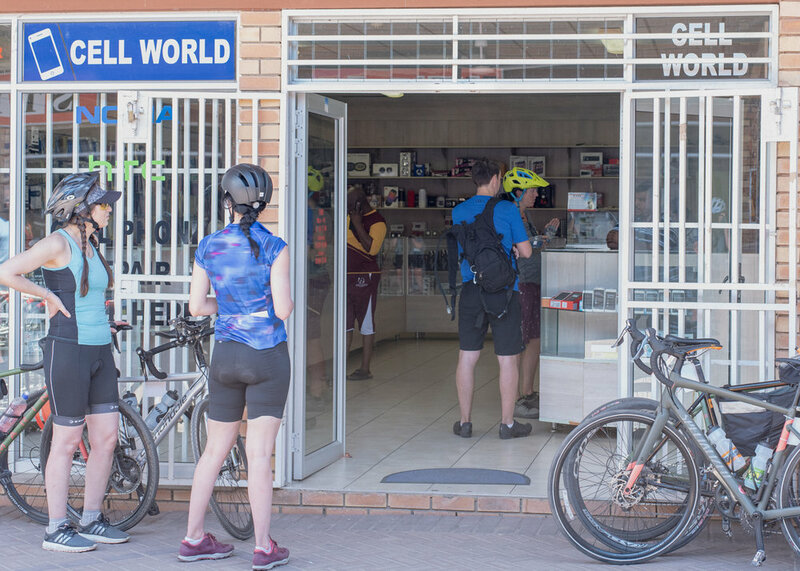 African Spokes "Day in the Life"
This series is the first of three photo stories which ran on Entrepreneur Magazine's social media channels in May 2018, focusing on businesswoman Jen Gurecki @yogurecki working remotely running her company, @coalitionsnow, while cycling with African Spokes across Africa on the 68 day trip.